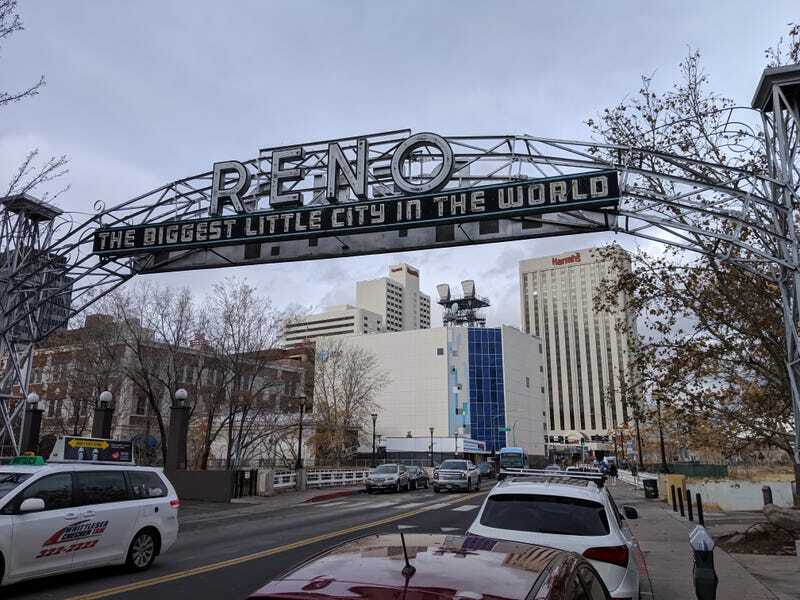 After a wildly successful morning presentation, I celebrated with a walk to downtown Reno, and the car museum, a little less than 2 miles from my hotel. It is right next to the famous Reno sign. It was really nice to get out of this casino/hotel and walk. Let’s be honest, Oppo, even the nicest of these places is fucked. When inside, you are a rat an animal behavior experiment, being observed almost always. Apparently, Bill Harrah was quite the car collector and his stuff ended up here. Have a photodump! The collection goes from turn of the century to about 1978. I really liked it. The grille designs and hood ornaments make me so happy. Harrah apparently wanted a Jeep, but not just any Jeep, for the mountains. So he had a Ferrari engine swapped in. Imagine David Tracy with a bucket of cash. Bill Harrah sounds like a dead rich guy who was a lot of fun when he was around. I mean, a Ferrari-swapped Cherokee (Jerrari!) is way more fun than Bezos’ dumb clock. They had the most adorable little Fiat. My God... it’s full of stars. Phantom Corsair was too cool for words. Some of you auto technician Oppos should check these out. 24K gold plated DeLorean! $1000 1984 dollars per month to ensure, and fixing a door ding cost $24000. I am glad I went to this museum. I have to go through security at the Reno airport now. See you on the other side!